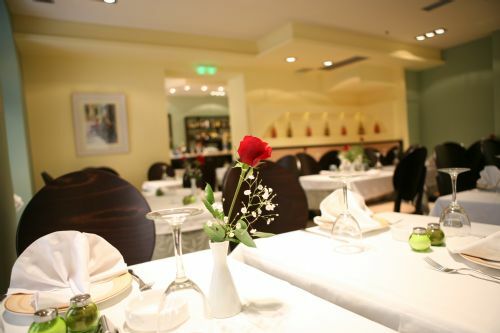 REX is a family restaurant in a pleasant environment. 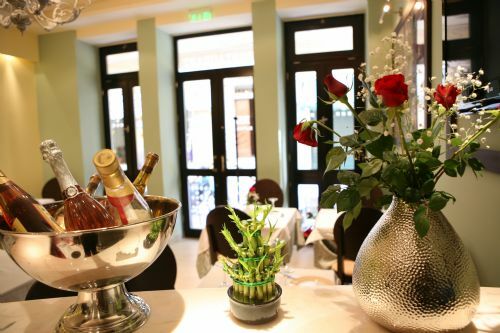 The goal of the owners is their guests to have fun and enjoy the exellent wines and dishes. 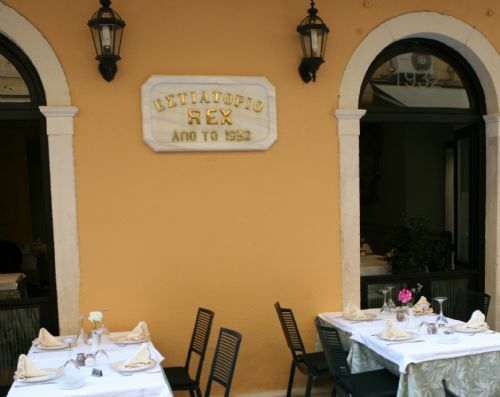 REX Restaurant in Kerkyra Corfu was founded in 1932 by Kassimi family who run it until 1945. 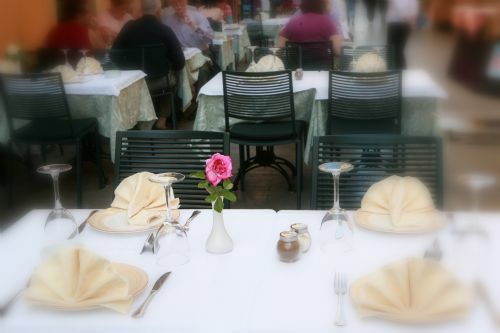 Yiannis Dimoulitsas managed the restaurant for the decade after Kassimis family. 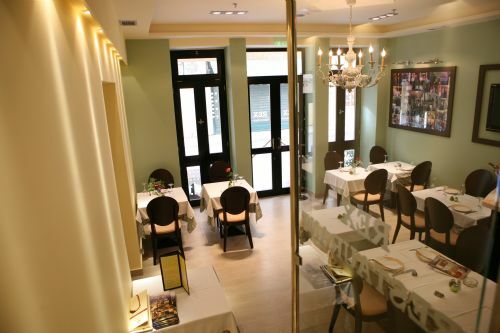 Now the restaurant belongs to the Katsaros family. 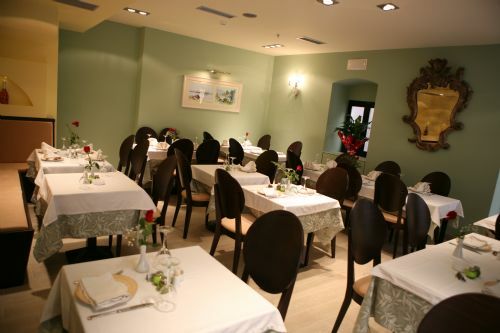 The first one was Nikolas Katsaros who started managing the restaurant in 1975. Then his nephew, Alexandros, his wife and his children continued his work until nowadays. 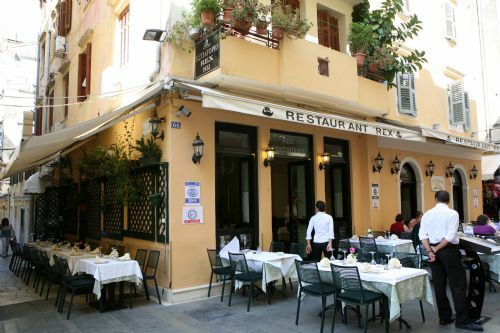 REXis located in Kapodistriou Street. This is one of the most central streets in town. 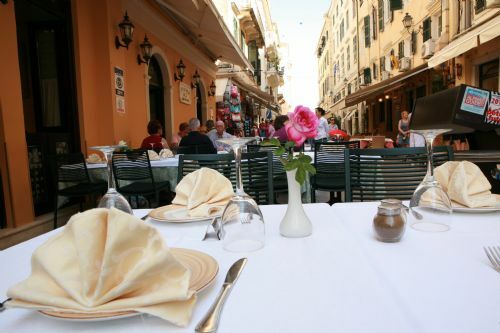 There are a lot of historical buildings around the restaurant, which have been constructed during the French occupation. 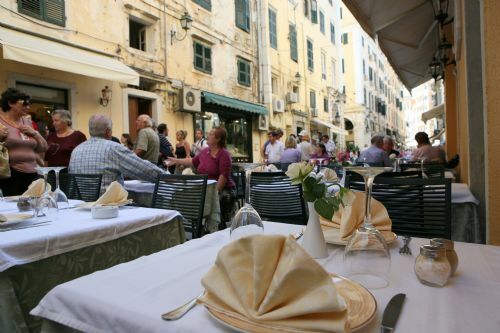 Restaurant Rex is very renowned in Corfu and all of its custmers enjoy the moments they share with us. Its owners love running such an important and historical restaurant and are very enthusiastic about Rex. However, they consider very important the improving of the service and the environment of Rex day by day. 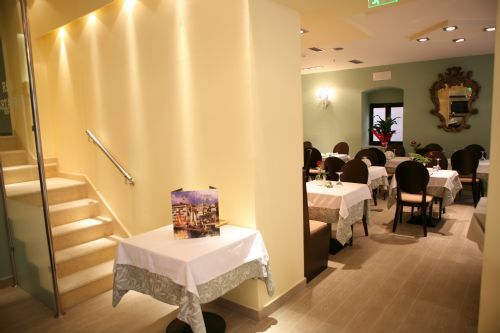 Address : 66, Kapodistriou Str.